This versatile, easy to use altimeter audibly reports your rocket``s peak altitude and maximum velocity after flight via a sequence of beeps. Two outputs are provided for deploying a small chute at apogee to minimize drift and a larger chute closer to the ground to slow your rocket for a gentle touchdown. Main chute deployment altitude is adjustable from 100 feet to 9,999 feet in 1 foot increments with the computer interface or 100 foot increments without. Nine user-defined presets make changing the settings in the field quick and easy. Stores 31 flights of 9 minutes each (altitude, temperature, and battery voltage at 20 samples per second) for download to a computer with the optional DT3U USB interface. Data are preserved with power off. Brownout protection will tolerate 3 second power loss in flight - no need for multiple batteries. Precision sensor &;;;;;;;;;;;;;;;;;;;;;;;;;;;;;;;;;;;;;;;;;;;;;;;; 24 bit ADC yield superb 0.1% accuracy. Built-in voltmeter reports battery voltage on powerup - no more guessing about battery condition. Confusion-free individual terminal blocks - unreliable multiple wires per terminal are not necessary. Highly resistant to false trigger from wind gusts tested in 100+ MPH winds! Low power design runs for weeks on a standard 9V alkaline battery. Post- flight locator siren will run for months, giving you multiple "second chances" to find a lost rocket. A peanut-sized altimeter with super-sized features! This tiny, easy to use altimeter audibly reports your rocket``s peak altitude and maximum velocity after flight via a sequence of beeps. A post-flight warbling siren sound makes finding small rockets in tall grass easier. The Pnut collects flight data (altitude, temperature, and battery voltage) at a rate of 20 samples per second throughout the flight and stores them for later download to a computer. It retains data from the most recent 31 flights (up to 9 minutes per flight) even with power removed. The optional DT3U data transfer kit includes software for graphing and printing a wide range of characteristics including altitude, velocity, and more. Stores 31 flights of 9 minutes each (altitude, temp­;;;;erature, and battery voltage at 20 samples per second) for download to a computer with the optional DT3U USB interface. Data are preserved with power off. Precision sensor &;;;; 24 bit ADC yield superb 0.1% accuracy. Built-in voltmeter reports battery voltage on powerup –;;;; no more guessing about battery condition. Highly resistant to false trigger from wind gusts;;;;;;;; tested in 100+ MPH winds! Low power design runs for days on a single charge. Post-flight locator siren will run for up to two weeks, giving you multiple “;;;;second chances”;;;; to find a lost rocket. Wide operating temperature range of 14F to +140F. Measures just 2.5"L x 0.59"W x 0.45"H, fits 18mm tube, weighs just 0.26 oz. including battery. The APRA is an entry-level altimeter that doesn’;;;;;;;;;;;;;;;;;;;;;;;;t compromise on accuracy and capability despite its low price. 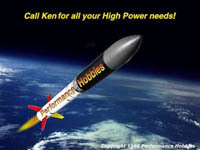 It is small, easy to use, and audibly reports your rocket``s peak altitude and maximum velocity after flight via a sequence of beeps. A post-flight warbling siren sound makes finding small rockets in tall grass easier. Precision sensor &;;;;;;;;;;;;;;;;;;;;;;;; 24 bit ADC yield superb 0.1% accuracy. Built-in voltmeter reports battery voltage on powerup –;;;;;;;;;;;;;;;;;;;;;;;; no more guessing about battery condition. Highly resistant to false trigger from wind gusts;;;;;;;;;;;;;;;;;;;;;;;;;;;;;;;; tested in 100+ MPH winds! Low power design –;;;;;;;;;;;;;;;;;;;;;;;; battery lasts for over 30 hours. Post-flight locator siren will run for several days, giving you multiple “;;;;;;;;;;;;;;;;;;;;;;;;second chances”;;;;;;;;;;;;;;;;;;;;;;;; to find a lost rocket. Wide operating temperature range of 40F to +185F. 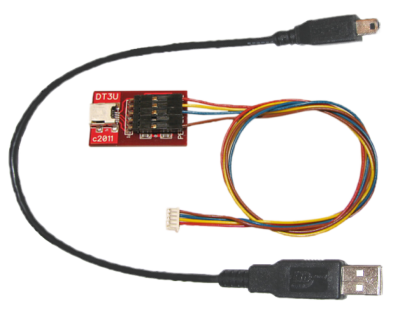 This data transfer kit incorporates level shifting and USB conversion circuitry to make the logic level signals from the altimeter compatible with standard USB ports. It also includes a USB A to USB mini B cable to connect to the host computer.